I recently presented at the three-day Wear Conference in New York City to a room crowded with fashionistas and technologists all talking about the internet of things. The conference was very technical, focusing on IoT technology in clothing, fiber, sporting goods and so on. Nearly half the attendees were women in senior technical management positions representing a wide variety of brands, including Patagonia, Google, Levi Strauss and Company, Intel, Velcro, Ralph Lauren, Microsoft, Kimberly Clark, Eileen Fisher and Dupont, to name a few. The strong turnout for this conference was not surprising as 245 million wearables will be sold worldwide in 2019 — up from 84 million sold in 2015, according to CSS Insight. This shows that not only are more people buying wearables, but more wearables connecting to IoT are being made. 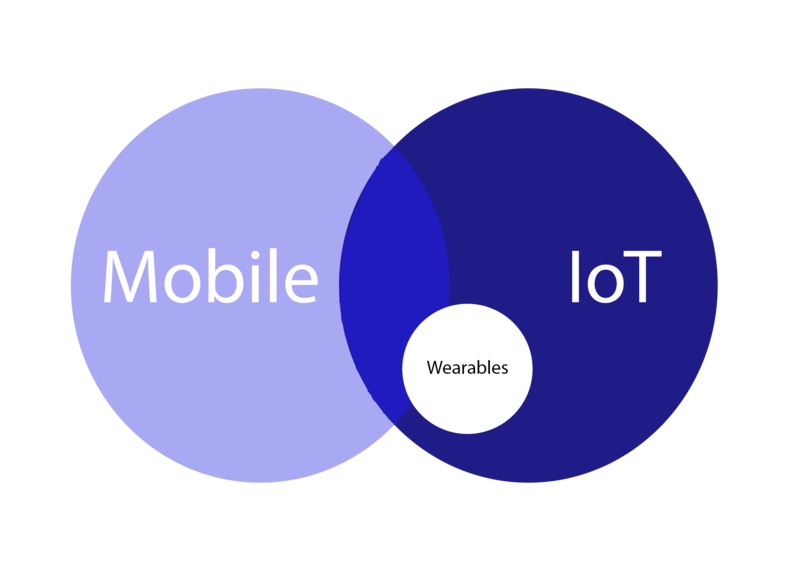 It’s clear: Wearables connected to IoT will soon become a staple item for consumers. Near field communication (NFC) technology is already making an impact in the wearable industry as seen in some of the presentations at the conference. Presenters from both NuCurrent (wireless charging) and Inuheat (fabrics that you can heat up) talked about NFC technology in their presentations. The conference was located on 7th “Fashion” Avenue at the Fashion Institute of Technology, an internationally recognized college for design, fashion, art, communications and business. My presentation was titled “Four Ways NFC Enables Brands to Connect to a Wearable Tomorrow.” My key message was that NFC in a wearable product will improve the customer experience, enhance brand engagement and help create new, innovative products connected to the IoT. See my presentation here. Authentication and anti-counterfeiting. With NFC and mobile authentication services, consumers can be certain they’re buying genuine jewelry, watches, handbags and other valuable products. Context-sensitive digital content. NFC can provide digital content and services related to wearables, based on real-time shopping needs, to motivate on-the-spot sales or even information more directly related to the wearable. Recommendations for other items that complement the outfit or product can also create cross-selling opportunities. Post-sales service. NFC can enhance the user experience even after the purchase. Users can tap a tag on a wearable and get quick access to customer care, exclusive brand applications, tools and even the store. Retailers and brands can use NFC to provide personalized rewards that help foster brand loyalty and repurchases. Customer intelligence. By tapping a wearable, such as a smartwatch or a bracelet, to a piece of machinery at the gym, customers can become more informed about their workout, seamlessly and more accurately. At the Wear Conference, NFC and IoT were discussed as leading the way to helping technologists and fashionistas innovate and create new products. Companies attending the Consumer Electronics Show in Las Vegas for the last few years have prominently discussed and shown NFC-enabled IoT products, too. I’m expecting that, next year, the big automotive trade shows in Detroit and Europe will also display even more NFC-enabled IoT products. I’m looking forward to seeing the NFC innovations spawned by the rising IoT market over the next few years.